The inaugural season of the SBMRL was filled with memorable moments. There were dramatic finishes and foregone conclusions, risks rewarded and agonizing crashes. Here, then, is a look back at the key moments and overarching stories that developed throughout. 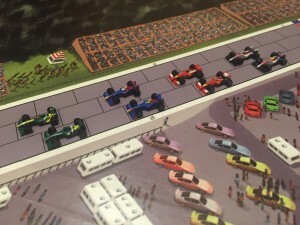 The season opened with 9 cars entering the field at Austin. Qualifying was done randomly, and then a field full of inexperienced drivers floored it and we were off! Not knowing what to expect from their cars, this race saw the highest number of crashes. Stanley Washington, in his only race of the year, was the last car to start the second lap but finished all the way up in 4th after a few of those crashes and a couple of passes. Jaap Snellrijder got the win after a daring charge down the back straight helped him catch up. Nero hung on for 5th place despite spinning out twice, and Mater came home in 2nd. 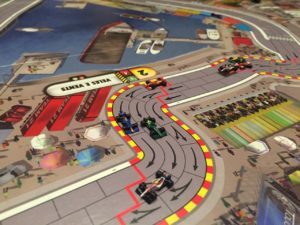 We then headed to the illuminated Singapore night race, where Captain Slow fought off all comers to win after starting on pole. Mater’s fortunes were quite different, crashing out while trying to keep up with Launch Bornado, Jaap, and the Stig. In India, Danger Wheel managed to repeat Captain Slow’s pole to victory feat despite falling all the way to 5th after a lap. Launch was right on his heels until the very end, where he was able to block off the line that Launch needed to pass. The Stig’s race was ruined with a pit lane debacle, while the good Captain and Jaap came from distance to pass Ice and Mater in the final corners. Monaco saw Mater stall at the start of the race, the only driver to do so all season. The Stig made Scandinavian Blitz the first team to win multiple races, and also became the 3rd consecutive driver to win from pole. 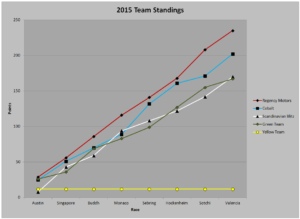 Jaap fought his way from 8th to 4th for the 3rd consecutive race, too. Despite others getting close, Jaap was developing a reputation for refusing to stay in the back of the pack. Sebring saw the most lopsided race of the year, with both Cobalt drivers hitting their lines just right. Nero was the runaway winner, with Ice a distance second. It also featured Launch Bornado charging through the pack from last to first, only to fall all the way to last again. 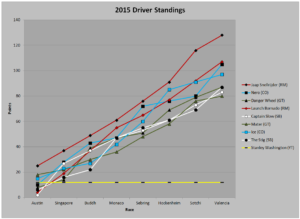 The win in Sebring brought Nero to within 4 points of Jaap for the driver’s championship, the closest it was all season. 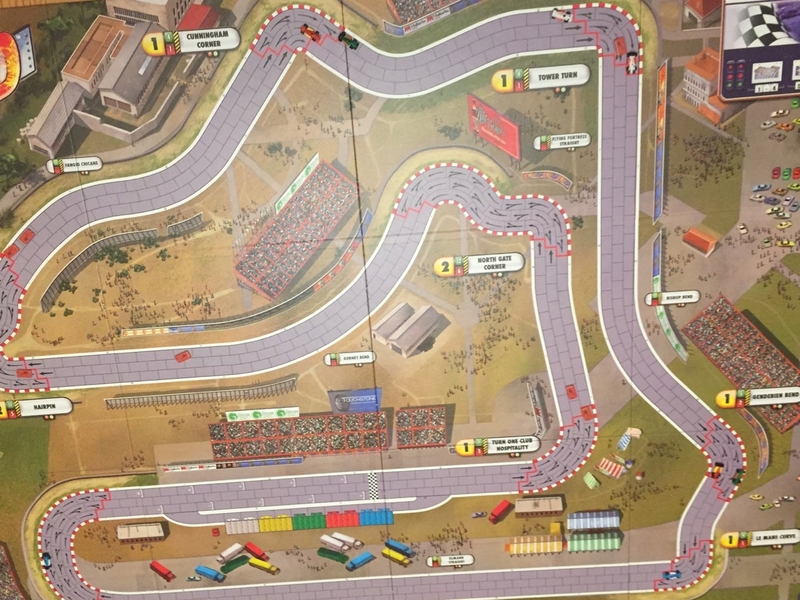 He then foolishly tried to thread himself between three cars on the Hockenheim Ring to end his race barely after it had begun. He sat and and watched his teammate Ice take the checkered flag after an inspired start to the race brought him to the front of the pack. 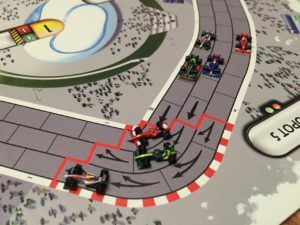 Sochi was full of drama as Jaap again came charging from the back and a number of other positions were highly contested. The early story was Ice taking out his own teammate, leaving Nero out of the cockpit for a second straight race. 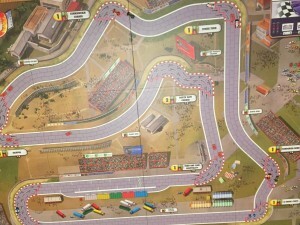 Jaap, who started every race in last place except Austin, managed to pass four cars early on. That left him only Mater to catch for the win, which he pulled off late on the second lap. The final bit of drama came as Captain Slow was able to slipstream past Danger Wheel for 4th place right at the finish line. 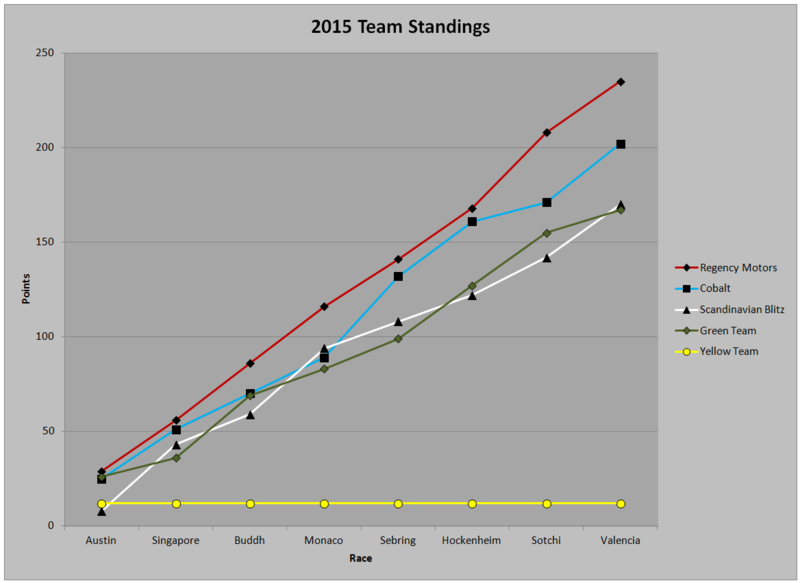 Finally, Valencia left us with what was the most tightly contested race of the season. The Stig led a higher percentage of the race than any driver had all year, but Nero caught him at the last possible moment. Launch came from 7th to 3rd with just two turns remaining. Captain Slow slipstreamed past Danger Wheel right at the end for the second time in a row, and Mater spun out on the final corner, letting Ice come from way back to finish in 7th. After winning in Austin, Jaap never looked back. Despite starting at the back of the grid in all subsequent races, he never finished lower than 4th, which he did 4 times. Launch Bornado took second by a nose over Nero, whose crashes hurt considerably. Despite being the only driver other than Mater not to win a race this year, Launch led everyone with 5 podiums. Ice was one of the least consistent drivers, suffering a pair of 7th place finishes in the final two races to drop all the way to 4th. Danger Wheel and the Stig tied for 5th, thanks to Captain Slow’s last minute pass that dropped the green team’s leading driver one slot. 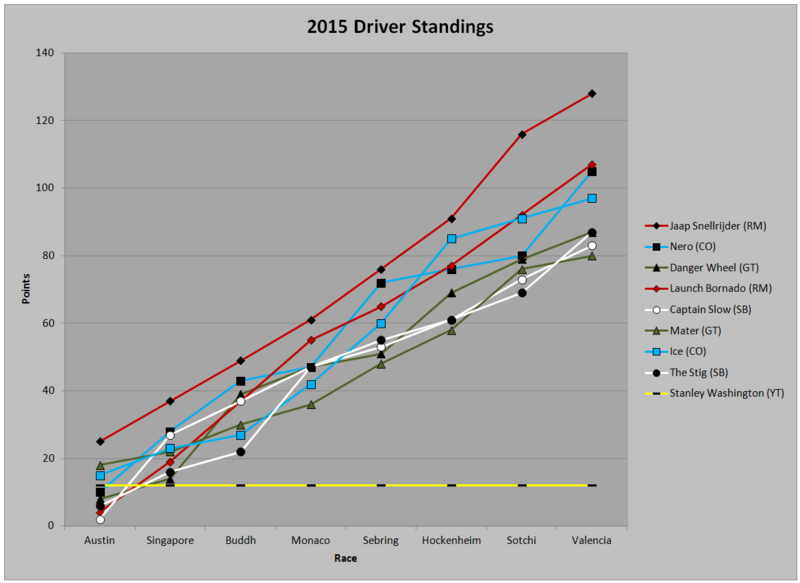 The Captain lived up to his name most of the time, with his win in Singapore being the only finish higher than 4th. Mater’s pair of second place finishes weren’t quite enough to get him out of the cellar. At the team level, it was Regency Motors and a hard fought battle with Cobalt in the middle of the season. 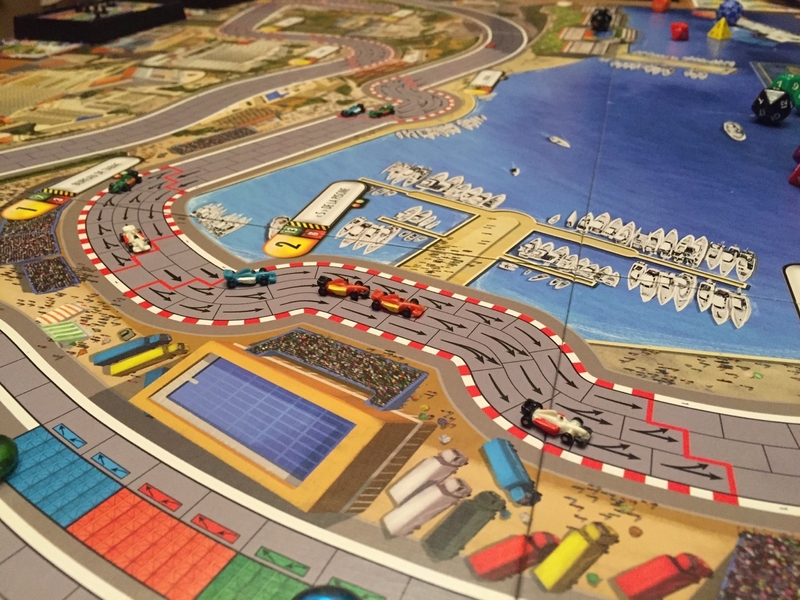 Nero’s second crash and Jaap’s victory in Sochi put an end to any hope of catching the red cars. The Green Team and Scandinavian Blitz battled it out behind them, trading place and ultimately finishing just 3 points apart. 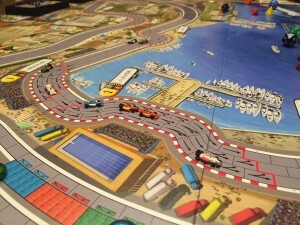 Do you play standard Formula D (laps per race, determination of starting position) or do you use any custom rules? Thanks! We do have some custom rules. We run 2 lap races and seed the starting grid in reverse order of the driver standings after the 1st race (random). We don’t run with the weather/tyre rules. I think all the custom rules are documented here on the site.